As we near the end of Women’s History Month, we wanted to take time to reflect and honor the women who have inspired us to grow into the people we are today. From mothers to magazine founders, we feel empowered from women of all different backgrounds. Here is to strong women; may we know them, may we be them, may we raise them. Tavi Gevinson, founder of Rookie Magazine (@rookiemag), is a huge inspiration to me. She created a platform for girls to express themselves, without judgment. As a collective for women (of all ages) to express themselves through writing, photography, and other forms of artwork, Rookie covers it all. I wish I had Rookie when I was a teen. I’m really looking up to Drew Ginsburg (@dylanlex) these days. I have so much respect for young women who take something small, make it into their business, and completely own it. (I even work for this kind of badass woman!) While I’d love to list all of the amazing young woman I respect, I’ve been a huge fan of Drew’s line and personal style for a while and she’s really taken it next level recently. I went really deep in her Instagram one night and saw old pics of her original “arm parties” and it’s really inspiring to see how far she’s come from having an interest in layered jewelry to owning a successful brand that’s original and true to her. My mom, Denise Schramm, inspires me every single day. She wears so many different hats and excels at each of them. Aside from being a kickass business woman and running a company, she has the biggest heart of anyone I know. She never allows her busy schedule to take time away from loving me, my dad, my sister, and the rest of our big Italian family. She is driven, brilliant, an incredible mother and I hope one day I can handle life almost as gracefully and successfully as she does. I’m constantly inspired by Lena Dunham (@lenadunham). Not only is she a pioneer of women in film and entertainment, but she constantly confronts the negative things said about her in the media. People love to hate her and she doesn’t let the opinions of others stop her from speaking her truth or for fighting what she thinks is right; that is really admirable to me. It takes great courage to constantly put yourself out there, artistically and personally, knowing that you’ll get backlash no matter what. We all can learn something from that bravery and headstrongness. I’m sad to see the last season of Girls, but know she’ll continue to produce and create great work in the years ahead. 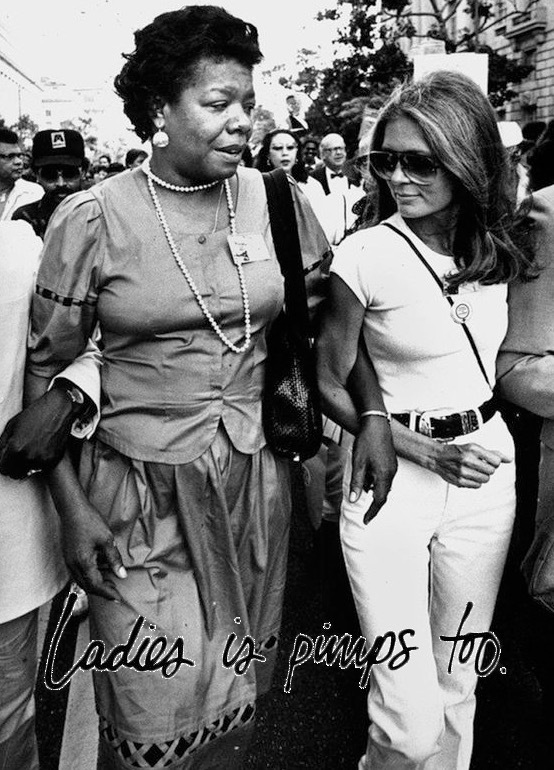 What incredible women inspire you? Tweet us @somethingsocial or tag us on Instagram- @somethingsocial. 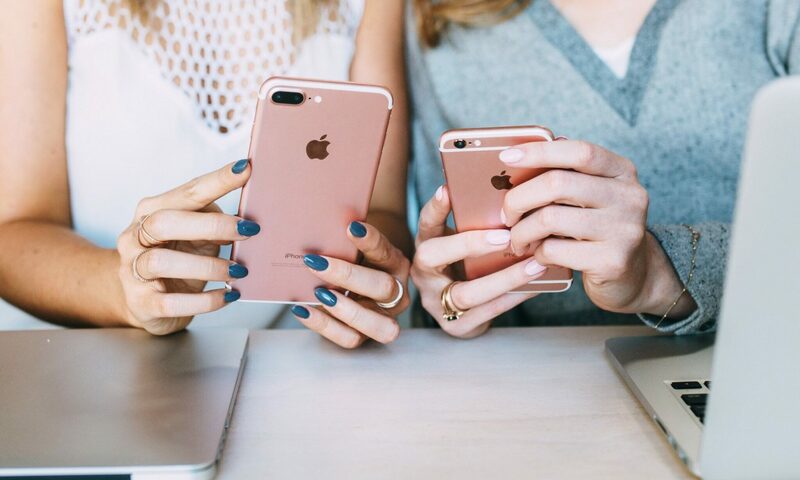 One of the top questions we get is, “what is the best time to post?” Our clients are always seeking guidance on the most optimal time to share their content in order to get the highest reach & engagement with their followers. We generally find that early afternoons (11am – 1pm) and evenings (7 – 9pm) bring the most engagement. We call weekdays from 3pm-5pm the dead zone. Posts at this time most likely never receive high engagement percentages. Save important posts & announcements for mid-day on weekdays in order to have the highest amount of reach. Find out when your audience is the most active. If you’re a West Coast or an East Coast brand, for example, your posting times will vary based on when your audience is awake. Weekends can be hit or miss depending on your audience. Some of our clients have great success with posts on Saturdays and Sundays, while others don’t fare as well. Facebook is the king of social media. With the most active users over any other social platform, it’s kind of hard to find a bad day or time to post. Boosted posts & Facebook ads are necessary to gain traction for your brand page, especially for a newer brand. Important notes: Our guidelines might not work for everyone! Don’t be afraid to test out different posting times for you and your brand to see what works best for your audience. What does your data say? We wanna know! Tweet us @somethingsocial or tag us on Instagram- @somethingsocial. This month: Make March Matter. During the month of March, local businesses and communities near us are taking action to support children’s health. Each generous business below will give you a special way to support critical, life-saving and life-changing care for children who live near you by shopping, dining or making a donation. You can Make March Matter™ by supporting these local businesses. A couple of our favorites: EmiJay created limited edition tees, sweatshirts & hair ties with 50% of their sales going to Childrens Hospital Los Angeles. Check out the selection here. Alfred Coffee is donating $1 for every coffee posted on social media with #AlfredCoffee & #MakeMarchMatter. 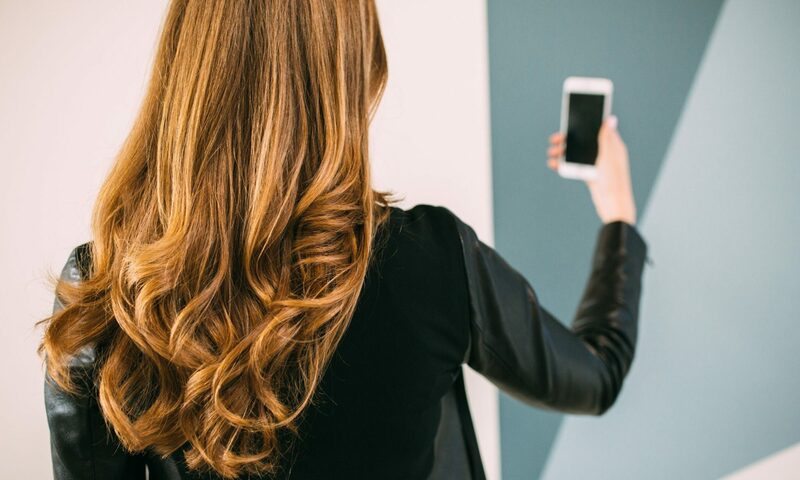 Drybar is also donating $1 for every blowout sold in the LA area during the month of March. Visit these local businesses and know that your dollars are making a difference. Businesses in Los Angeles County have pledged to raise $1 million for children treated at Children’s Hospital Los Angeles. Businesses in the Coachella Valley have pledged to raise $250,000 to support care for children treated by Children’s Hospital clinicians at the Barbara Sinatra Children’s Center. 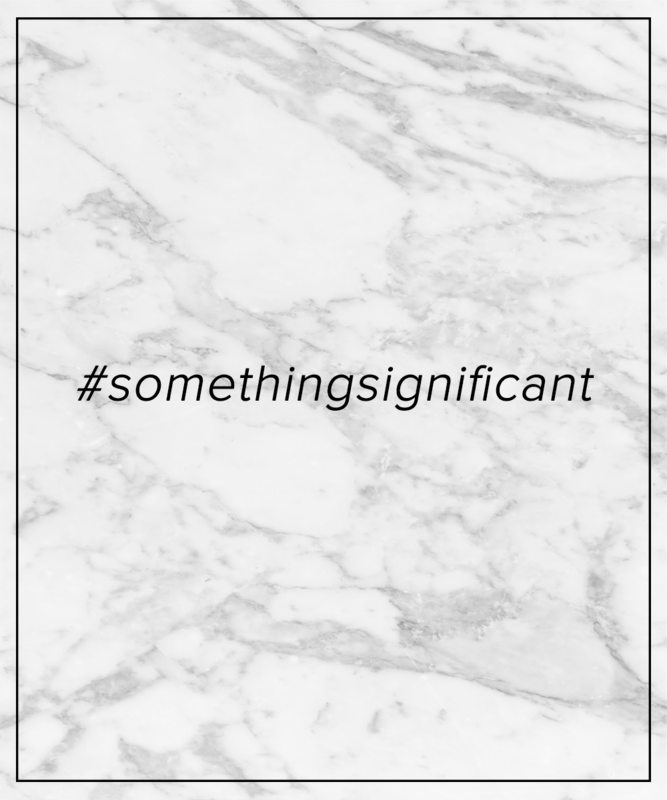 Do you do #SomethingSignificant? We want to know! Tweet us @somethingsocial or tag us on Instagram- @somethingsocial. We’re officially entering one of our all time favorite seasons: festival season. Besides for this season coming with it’s own wardrobe, it also comes with a plethora of new playlists. With Coachella still a month away, our first festival we’re looking at is SXSW. 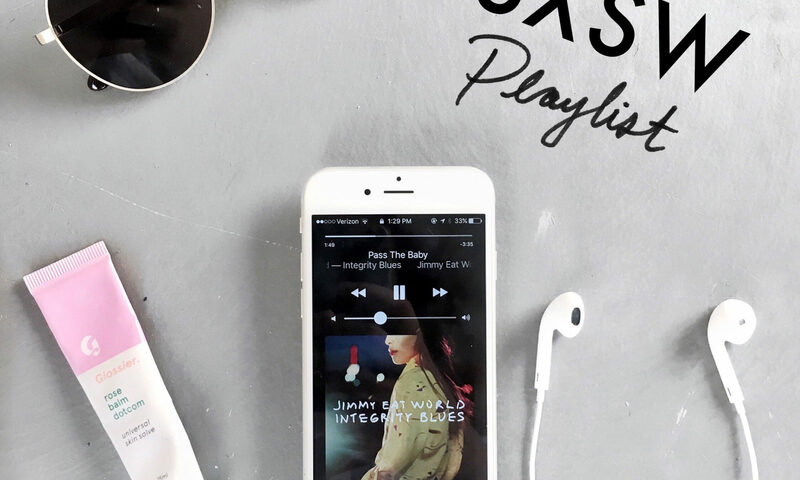 We’ve curated a playlist for your festival season vibes listening pleasure; check it out below. Who was your fave babe from SXSW Tweet us @somethingsocial or tag us on Instagram- @somethingsocial. Tell us about a day in the life of an Art Director. First thing in the morning I grab a Celsius from the fridge, get settled and check Asana for whatever tasks need to be completed for the day. These tasks include anything from creating branded graphic quote templates for clients, editing photos, assembling proposals for new clients, designing geofilters for events, and the list goes on and on. On the rare occasion that I don’t have a lot to do, I’ll shoot and edit lifestyle photos to use as general stock imagery. Since there’s no time constraint, I use this time to experiment and learn new techniques. We work in an intimate and comfortable space so there is a lot of active collaboration happening throughout the day. We all have our specialties, but we become a jack of all trades working so closely with one another on all facets of the company. I’m a singer-songwriter, so many nights of the week I’m heading straight to a writing session from work. I spend most of my free time working on my artist project; collaborating with producers, designing marketing material for the release, networking, etc. 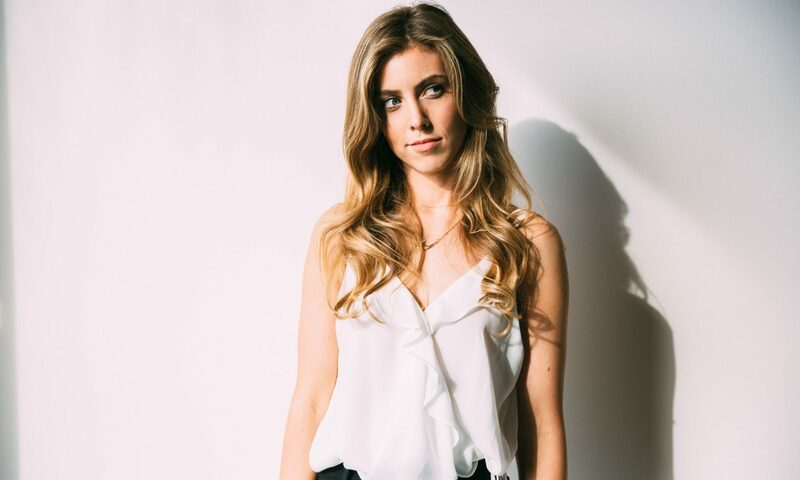 When I’m not working on music, I’m normally helping my boyfriend with his feature film, watching independent films, going on walks, reading at the park, or online shopping. Best Adobe tip you can share with our readers? I love hand-drawn elements incorporated into design, so the easiest way to get them into your Adobe program of choice is to take a photo of your drawing in good lighting (a phone will do), edit the photo to make the background white (up contrast and lightness), once you have the edited image in, say illustrator, go to your transparency tool and select “multiply” – the white background will disappear and you can place it on top of your photo or design. You can also turn your drawing into a vector by using live trace and selecting “silhouettes”. Now you can manipulate the color and shape. THE PEOPLE. I feel so lucky to be a part of this team. Everyone is so kind, hard working, and hilarious. I’m excited to come to work on Monday and that is not something you hear often. A full-time musician. I would also like to write songs for other artists. I’m very entrepreneurial so I hope to take the artist project beyond music, into fashion, art and design. What is your idea of the perfect ‘gram? In terms of aesthetics, I’m all about the dreamy colors and experimental editing. That said, I also like to see some realness and honesty, where you can tell they aren’t concerned with a perfectly curated feed. It’s a balancing act that I haven’t quite figured out yet. Right now it’s Franklin Village. I spend most my time there and have built a little community there. My favorite spots are Oaks Gourmet (the local coffee shop), The Daily Planet (the corner store with every magical knick knack you could dream of), Bourgeois Pig (a dreamy coffeeshop with lots of eclectic decor and furniture), and Counterpoint (a used book and record store). Planning is the key to success. With content being easier than ever to create, social platforms are much more saturated than they used to be. The key to standing out is making sure that your posts are going up consistently and at the right time. The best way to accomplish this is to create a content calendar. With a content calendar, you can plan out in advance what is going to be posted, when it’s going to be posted and who is going to be posting it. Scheduling also helps ensure continuity of content, visibility for your brand and overall less stress for you (and your team). Plan it out visually. Social media is a visual medium. You want to make sure that the content you are planning to post creates a visual story for your brand, especially on Instagram. These are our two favorite apps to help plan out a feed. Unum: “Design Perfection For Instagram.” Available in the App Store and Google Play, Unum is an app that allows Instagram users to plan out and schedule their Instagrams. This is the perfect app for testing out different images in order to maintain a flowing theme. Consistency is key for UNUM users – never worry about your overall Insta-look with the help of UNUM. Planoly: “Empowering our users to tell their story visually.” Planoly is a monthly calendar that enables users to schedule Instagram posts and captions, search hashtags, manage and reply to comments, view analytics, and more. There is a paid version that grants users access to more features, however the free version is a great stepping stone. Available in the App Store and Google Play, as well as online. Have a system. 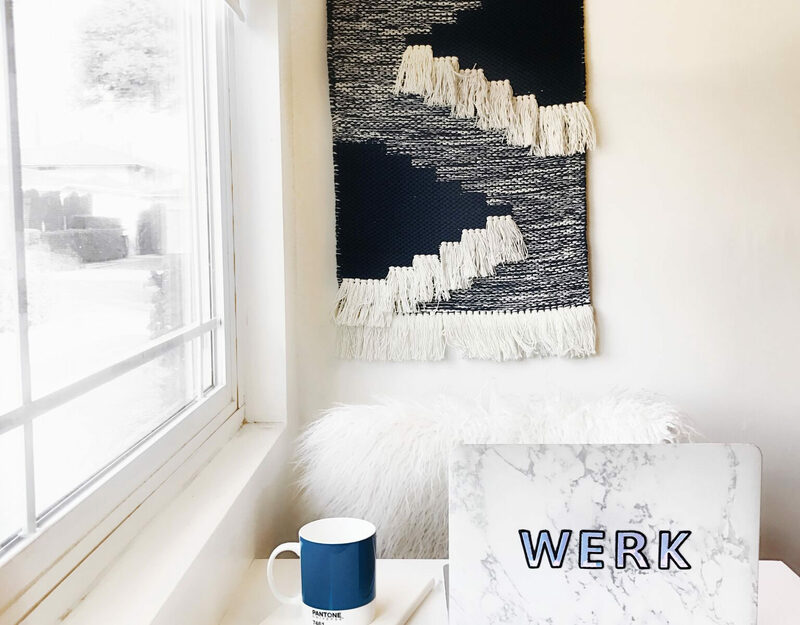 Working in a digital field can be hard because often times there is no defined work schedule. We believe it’s really important to create one for yourself. If you define what your week will look like, you’ll know what needs to be accomplished when. For example, every Monday you plan out the posts for the following week, every Tuesday you write captions for each post and every Wednesday you schedule the posts, etc. Keeping yourself on a schedule will help you stay on top of your work load. The best content calendar is the one that you and your team like to use. Whichever method works for you is the best one there is. Try implementing a content calendar this month and see how it affects your productivity and stress-level. What’s your content strategy? Tweet us @somethingsocial or tag us on Instagram- @somethingsocial.